What’s involved in a pharmaceutical trial? Home/Pharmaceutical/What’s involved in a pharmaceutical trial? It is estimated global pharmaceutical company Johnson and Johnson employs more than 127,000 people. And in the US alone more than 800,000 people work in the pharmaceutical industry developing, testing, and producing drugs for a range of medical ailments. From vaccinations and Insulin to contraception, each medication must face scrutiny and assessment through vigilant testing and trials. Side effects and health risks are assessed through various trial stages. Once a drug is approved for use, it is then marketed and sold. 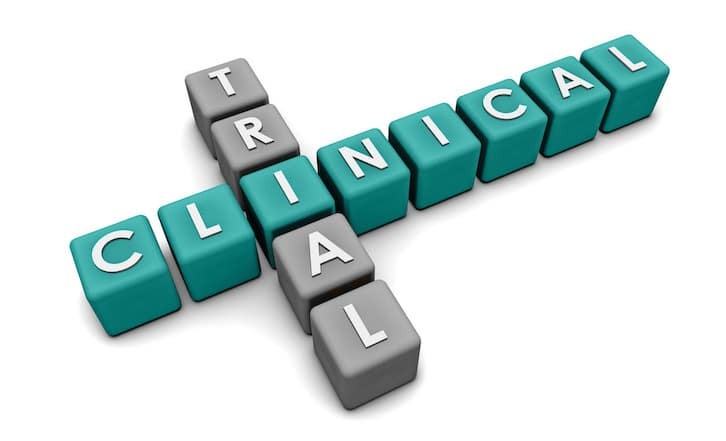 The process of a clinical or pharmaceutical trial is usually segmented into several steps or ‘phases’, starting with safety and concluding once a pharmaceutical drug has been marketed and assessing its impact on the population. We summarise each phase below. Phase one limits trials to small groups (usually less than 100 participants). Trial groups are kept small as this is the first opportunity to identify and monitor side effects as well as risk in participants. This phase is also where a safe dosage range is identified. In phase two, the test group becomes significantly larger to again identify whether the drug works as intended. Safety and side effects are again monitored, while the dosage range is finessed. Phase three works similarly to phase one and two but with yet again a larger number of test participants. Phase three is also the stage where drugs are tested against other existing drugs or interventions once again monitoring side effects and outcomes through this larger test group. Phase four is generally conducted after a drug has been successfully tested and approved by its relevant governing body. These studies may be undertaken to ascertain whether the drug can be used for a new or different pathology or disease, to test whether the drug interacts with other drugs, or to test a certain population group. These trials are also designed to detect any rare or long-term adverse effects over a longer time period and in a larger and more diverse patient population. Measuring drowsiness: how is Optalert involved in pharmaceutical trials? Optalert has developed the eagle RESEARCH for pharmaceutical companies undertaking clinical drug trials. The goal of the eagle RESEARCH product is to objectively measure drowsiness and wakefulness during clinical trials, similar to the MSLT, but providing more frequent (denser) data recorded whilst the participant is awake and potentially during performance of cognitive tasks. The eagle RESEARCH product objectively measures alertness or drowsiness by monitoring the speed at which the eyelid opens and closes during a blink, and the amplitude of the blink. Physiological changes in blinks are detected and can be quantified on an objective scale to give a score to a person’s level of alertness/drowsiness. The Johns Drowsiness Scale (JDS™), created by Optalert Founding Director Dr Murray Johns, is an objective scale of drowsiness ranging from 0 (alert) to 10 (very drowsy). Objective and continuous measurement of drowsiness using the JDS can help pharmaceutical companies determine how a clinical drug affects wakefulness, alertness, drowsiness and fatigue. Clinical drugs marketed as sleeping tablets, anxiety soothers, or calming pills, when used correctly, can induce drowsiness and as such aid sleep. These sorts of pills should only be used when prescribed by a doctor and to treat short-term sleeping problems. The eagle RESEARCH is designed to accurately monitor the effectiveness of these types of drugs during trials, helping to answer questions such as do they induce sleepiness? How long does it take for the induced drowsiness to take effect? How long does the drowsiness/sleepiness last? Many medications list drowsiness as a side effect or secondary result. With the eagle RESEARCH, tests can be conducted to discover the point in time at which a subject experiences drowsiness or drowsiness-related symptoms after taking specific medication, and how long those effects may last. It can also help assess the impact of drowsiness on factors like reaction time and lapses of attention.